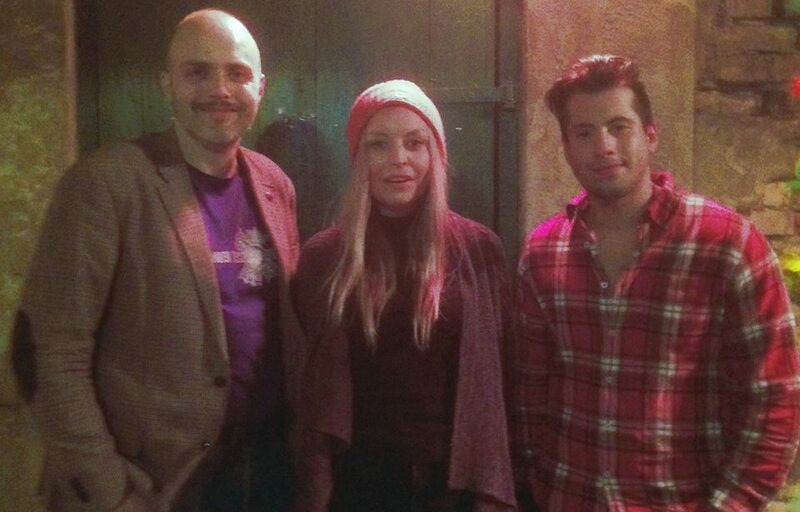 Recently I was asked to Chair a seminar on grass roots mobilization Attac arranged in Trondheim, with participation from Kari Kristensen, who had recently returned from a solidarity journey to Greece, and Fransisco Sanches from the Spanish party Podemos. what type of crisis is roiling Spain? In Gramsci’s classic definition, hegemony is the power of the leading elites to convince subaltern groups that they share the same interests, including them within a general consensus, albeit in a subordinate role. Loss of that hegemony creates an organic crisis, which can manifest itself in the failure of the ruling institutions—including the mainstream political parties—to preserve and renew their legitimacy. In Spain, as in other Eurozone countries, the economic meltdown and the measures imposed to ‘save the single currency’ raised the spectre of an organic crisis, which led in political terms to what we call a regime crisis: that is, the exhaustion of the political and social system that emerged from the post-Franco transition. The principal social expression of this regime crisis was the 15-M movement, the vast indignado mobilization which, starting on 15 May 2011, occupied city squares across Spain for weeks on end. Its principal political expression has been Podemos. In a sense the establishment and growth of Podemos could be the biggest experiment in putting Gramsci's theory to a practicle test in recent years. The transition from grassroots movement to party is interesting. If you i.e. look at the difference between the american Tea Party and the Occupy mobements, the first actively entered the republican party, while the latter did not want to dirty its hands with party politics. This, I believe, dramatically reduced it’s potential influence. We may however be seeing a change in this attitude with the movement around Bernie Sanders. Podemos’ experiences in building an effective party without becoming a part of "la Casta" was extremely interesting to discuss. A central objective in this struggle of hegemony has been to replace older political dividing lines with new ones - particularly the one where “la Casta” stands against Podemos. We have however seen a conter measure from the “old powers” to this strategy. Where did Ciudadanos come from, and what is Podemos strategy against this threat? The first question is easier to answer. Opposite of the popular impression Ciudadanos is not a new political party, established after the current crisis. It was established in 2005 and functioned mainly as a regional party in Catalonia. It has however recently been carefully remodeled after Podemos form, with the same criticism vs. corruption, only as a right-wing party. While Podemos has a background in the indignados-movement, and is financed to a large part through crowdfunding, the growth of Ciudadanos is completely different. The growth of Ciudadanos was funded mainly by contributions from wealthy bankers. It is not particularly far fetched to assume that the motive of these contributions was exactly to reduce Podemos’ growth. A strategy in regards to Ciudadanos would thus perhaps be to point out this connection between Ciudadanos and the bankers who created the economic crises. It does however not seem to be particularly effective thus far. In the local elections Podemos however had successes, and managed to get support from the traditional social-democratic party. The question is whether such an alliance would be possible at a national level? The meeting suggested a definite maybe as an answer to this question. A possible model can be found in neighbouring Portugal where an unprecedented alliance between Socialists, the Left Block and the Communists on an anti-austerity platform have ousted the right out of the government offices. I would also like to mention a couple of other interesting discussions from the meeting. One is on Greece and the European situation. Tsipras was not successful in ending austerity in Greece in his initial attempt. However he still has support from the Greek people. The first gratulatory telegram I read about to Jeremy Corbyn after his victory in the leadership elections to the british Labour party came from Tsipras and Syriza. It could seem Tsipras sees the necessity to bring the anti-austerity fight onto the European stage. How does this look from Podemos vantage point? How much of spanish politics can be changed from within Spain, and how much must be done at a european level? Finally, I would like to post the question of whether we can see an end to neoliberalism. Neoliberalism has dominated world politics for 30 years. Where are the forces that can change the tide? Thatcher and Reagan was a very potent combination. The idea of Jeremy Corbin and Bernie Sanders as PM and President with a large popular movement behind them could perhaps turn the tide, but all though it now seems just unlikely and not impossible, it is still a long way away. In Europe the left has made large progress in Greece, Spain and Ireland. The large countries currently led by social democrats (France and Italy) has however disappointed, and not contributed to policy change. (And Yanis Varoufakis’ stories from within the negotiations with EU ministers gives an interesting look into the current power balance in the EU). How can we build from the successes we have had to make a stronger European and global left? Originally published on The Northern Questions.